my buddy picked up this stuff for me at a local cycle shop. i had planned on getting engine ice but nobody around me carried it. in every trip to the dunes i would unload the banshee and ride around for about 5 mins and have to stop because the temp was over 210. i spent most of the day sitting under a tree. our dunes are mostly hill shots and we dont really have many areas to get much air flowing through the radiator. well next trip after switching to the lp stuff it never got over 192. even when i was sitting still for a while. thats a big deal since banshees dont have a radiator fan. 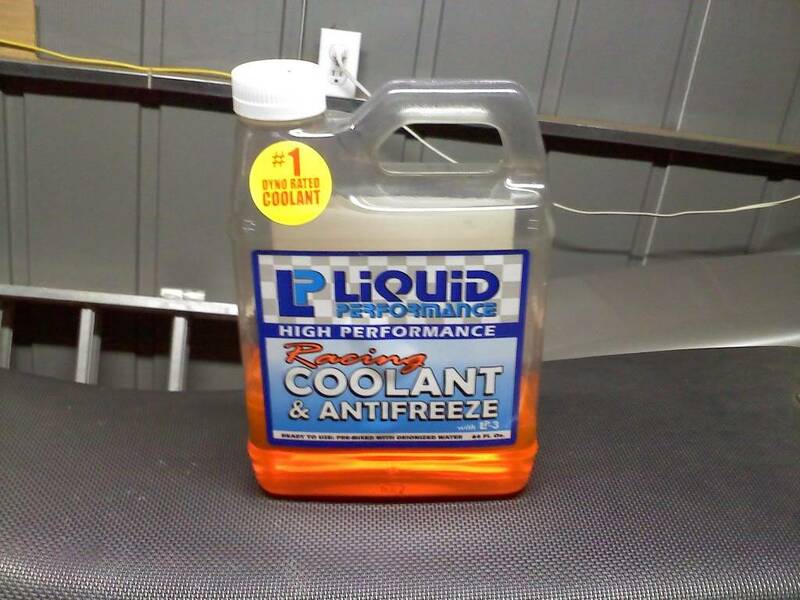 i cant speak for engine ice, water wetter or anything else but this stuff works!! i was using honda hp antifreeze before. shouldve known better than to use anything with honda on it!!! volfan, have you ever thought that maybe you are running lean? No. Plug chops look a little rich if anything. Summers are pretty hot down here and the ambient temperature is like 108 radiating off the sand out there. Never ran hot anywhere else but out there. maybe time for an oversize rad? yeah now im thinking oversized rad haha. just to be safe. but i like it its orange haha will go with my bike if i get the clear hoses! i got my rad with green hoses for like $175ish shipped iirc. it is a little thicker and longer than stock. when installing it, you might have a little trouble but i will tell you how to put it on perfectly. » LIQUID LOGIC BIG WHEEL.